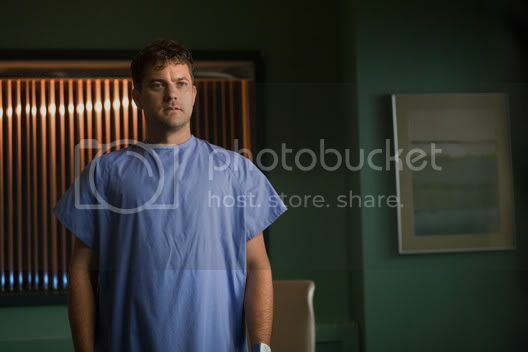 As Fringe's last season kicked off with much of the action “over there” in the alternate universe, so Season Four begins without any trace or acknowledgement of Peter Bishop. Only in Walter’s retelling of his young child’s death does Peter exist. Most of the Fringe fan base does not seem to mind Peter’s absence, certainly not with the same opposition that cropped up with many of last season’s episodes placed “over there.” And the assumption is that the absence is temporary. This season's first episode, “Neither Here Nor There,” has The Observers provide the exposition to fill in the blanks. After entering the machine, zooming into the future, and then creating the bridge between worlds, Peter has been erased from this timeline. But he still manages to “bleed through.” This bleeding through sets up some interesting plot lines, and some of Walter’s more bizarre yet endearing moments. Along with the neat special effects and character interplay, the brilliance of Fringe is in the little details. As the new season unfolds, we learn that Walter is plagued by both visual and auditory hallucinations. Of course, that’s what he thinks. But the audience knows that what really is happening is that Peter is trying to contact him. But since the memory and the idea of adult Peter has been removed from the world, Walter (and as we learn, Olivia) does not know who this mystery man is. In “One Night in October,” Walter has been frantically trying to keep these visions away, so he covers any and all reflective surfaces in the lab. And to stop any aural intrusions, he assembles a wall of stereo speakers to drown out the voice of the mystery man who’s been calling his name. Walter is blasting Mozart – at an ungodly decibel – and the as the camera moves in on him, slouched in an armchair, he looks exactly like the old Maxell Chair Man from the 70’s ad campaign. Really great stuff, understated, but effective. More subtle details involve changes in the main characters from last season. Astrid works in the field more and Walter hides in the lab. Not so subtle changes have the Other Broyles alive again, and Lincoln Lee – the one from this side that appeared briefly last season in “Stowaway” – is back again, still an FBI agent, but he’s never heard of Fringe. Also, as Walter nearly lobotomizes himself, we learn that Olivia too has been visited by Peter, in her dreams. Now they know that this mystery man could very well be real, which is a tremendous relief, especially to poor Walter. And so the impatient wait is on for the next episode (Friday at 9pm on FOX). At the end of “Subject 9,” Peter suddenly appears in the middle of Reiden Lake – the very lake where he should have drowned as a child. Thanks for keeping us up to speed(s) on Fringe mary ! Glad I could! The show is great.